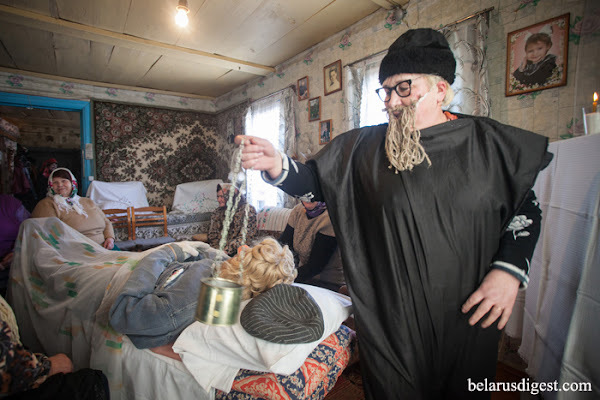 (Belarus Digest) - Maslenitsa celebration during the last week before the Great Lent in Vitsebsk region. Women are "burying an old man," according to a pagan tradition, marking the end of winter. A greedy and salacious priest is one of the traditional participants in the ceremony.